Cherries how I miss you. At the end of the summer you go way. Only to be seen briefly appearing from South American and tasting like you were picked half a world away. Every year around the start of May you come back to me. You can tell I love cherries. I can just spend an afternoon tackling an entire bag. It’s always exciting when you see the first bag of cherries show up each year after the long wait. You reach for the bag and then you notice the price sign. Sticker shock! 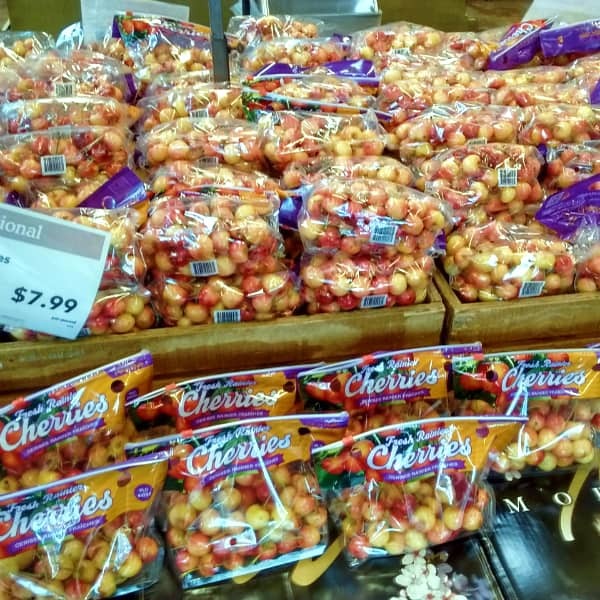 The first cherries, typically the Brook or Chealean variety can range from $7 to $12 per pound, generally around $8.99 is the starting point (at least it was this year at Whole Foods Market). When you grab a two pound bag you have just added $17.98 to your grocery bill. In your excitement over having fresh cherries again they will probably be gone in one day. 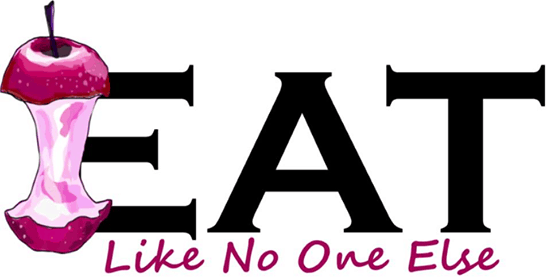 Even thought I love my fruit, if I am going to spend $17.98 at the store for something that will be gone in a day, I opting for a nice steak. Bags of California Grown Bing Cherries on a display at Kroger. Once the Bing cherries hit, the prices will go down significantly. Simple supply and demand. People want cherries but there isn’t much to meet up with the demand. 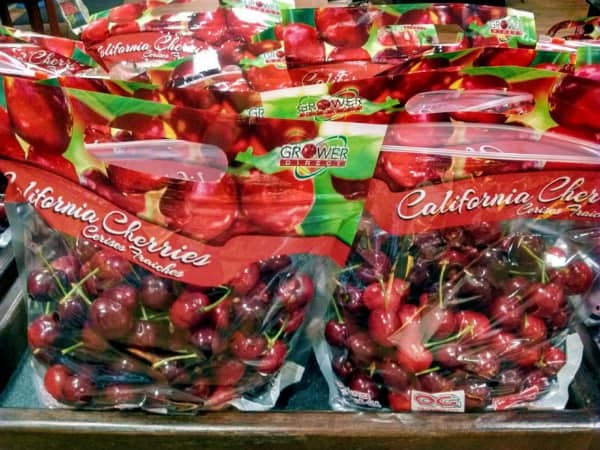 California cherries are first on the market. Their crop doesn’t come close to the volume that comes out of Washington – the state. Reason being cherries need a certain number of chill hours where the plants go dormant. It’s hard for parts of California to meet that requirement, hence why it cannot compete with Washington. 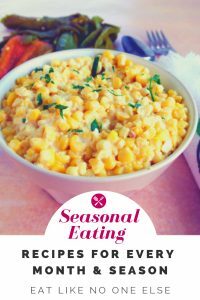 Being further south California is able to produce a crop earlier in the year. California cherry prices remain sky high until they get into the Bing variety (around mid to late May), and then you start seeing prices go down a bit, but still remain on the high side as store sales are hard to come by. The first of the season Rainier cherries from California. They were going for $7.99/lb at Whole Foods Market. As the season progresses the price goes down. Once Washington cherries come into season around early to mid June, you will start seeing the prices decline. California will finish up. 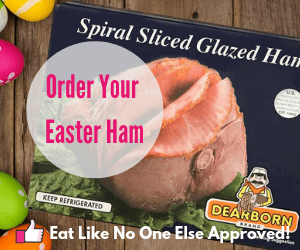 When Washington arrive you will start seeing prices around $4.99 per pound or less. Around 4th of July when the Washington Bing cherries come out is when the buying will be at the best for the consumer. Bing cherries are the most grown sweet cherry variety and for a good reason, they are one of the best – flavor and texture. Combine that will a holiday and you can find awesome sales of even $1.99/pound during the time period. Prices go up as Bings are done but never go as high as they were at the start of the season. Leave a comment below, let us know what prices you have seen for cherries this year. Want to learn more about the cherry season? 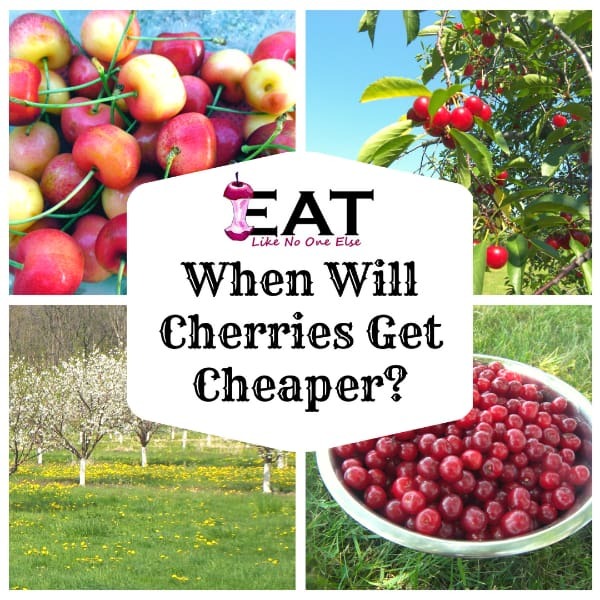 Check out my article on When Does Cherry Season Begin (and End)? Will cherries come down in price before the end of summer? They were already at their cheapest and the season is about over, so I think this is as good as it’s going to get now.